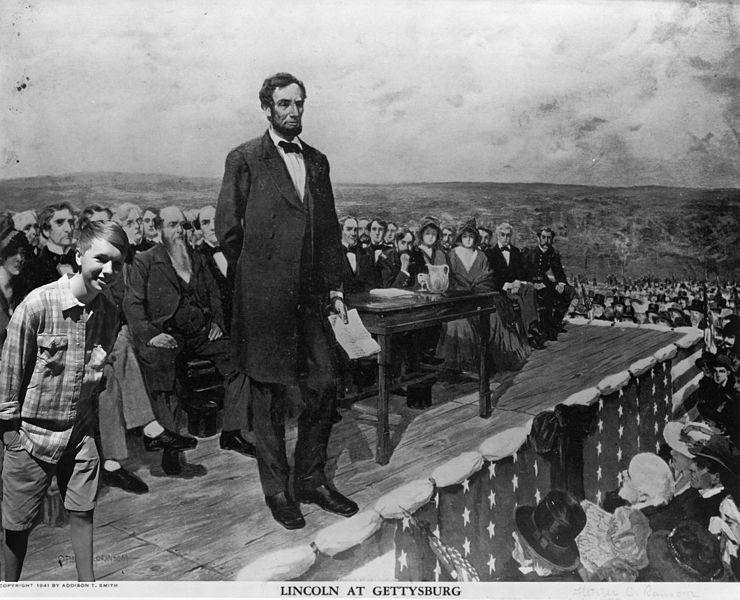 The Gettysburg Address is Lincoln's most memorable speech, and has become an iconic text for the nation. The speech is striking for accomplishing so much with few words; it put a moral imperative upon the Civil War, consecrated a battlefield, and defined a singularly American voice that could only belong to a free people; even if, at that moment in history, they were struggling for their national identity. The speech is studied throughout the world for its historical, political and cultural significance. For literary purposes, it's a striking study of literary power founded in the economy of words. But, in a larger sense, we cannot dedicate -- we cannot consecrate -- we cannot hallow this ground. The brave men, living and dead, who struggled here have consecrated it, far above our poor power to add or detract. The world will little note, nor long remember, what we say here, but it can never forget what they did here. It is for us the living, rather, to be dedicated here to the unfinished work which they who fought here have thus far so nobly advanced. It is rather for us to be here dedicated to the great task remaining before us -- that from these honored dead we take increased devotion to that cause for which they gave the last full measure of devotion -- that we here highly resolve that these dead shall not have died in vain -- that this nation, under God, shall have a new birth of freedom -- and that government of the people, by the people, for the people, shall not perish from the earth. Enjoy American Literature's American History collection of historical figures' speeches, essays, and stories.